Who doesn’t love a good cookie? We sure do, and we think that tea cookies are always a delightful addition to just about any gathering — especially, of course, a tea party. 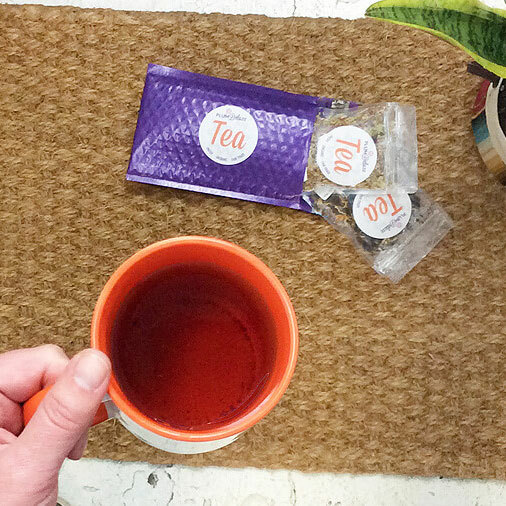 A perfectly sweet cookie is always a great pairing for just about any type of tea. There are about as many types of cookies as there are types of tea, making the possibilities endless. 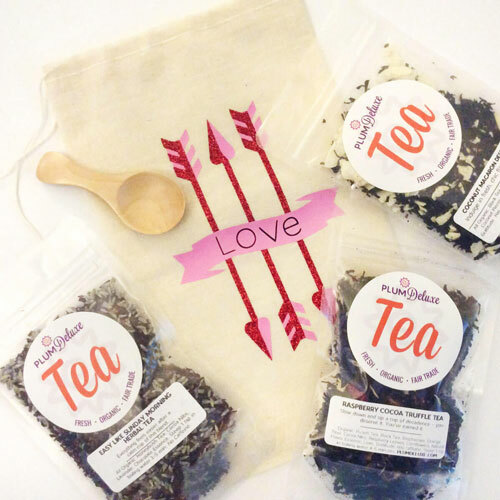 Cookies and tea is one of those comfort combinations that we all know and love, and everyone has their favorite. 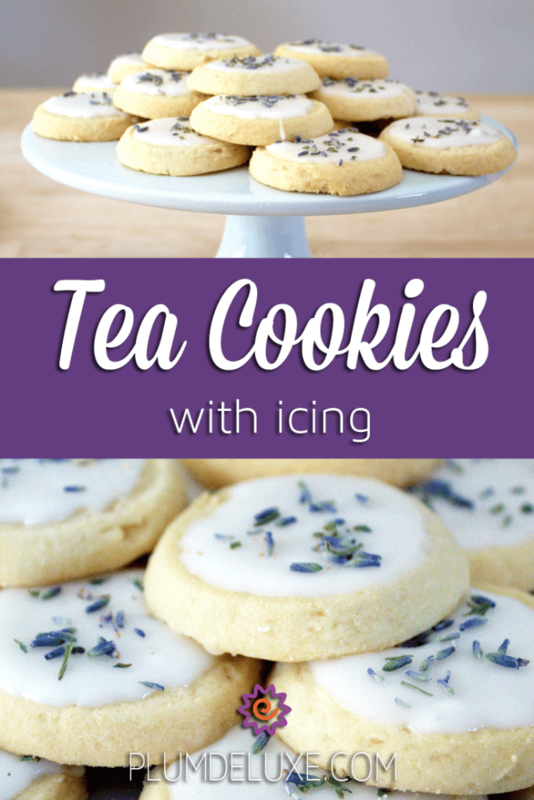 That’s why we are sharing some of our favorite tea cookie recipes with icing. Tea cookies come in all shapes and forms, including soft and chewy cookies like these fudgy dark chocolate avocado cookies to classic and crumbly ones like these shortbread cookies. 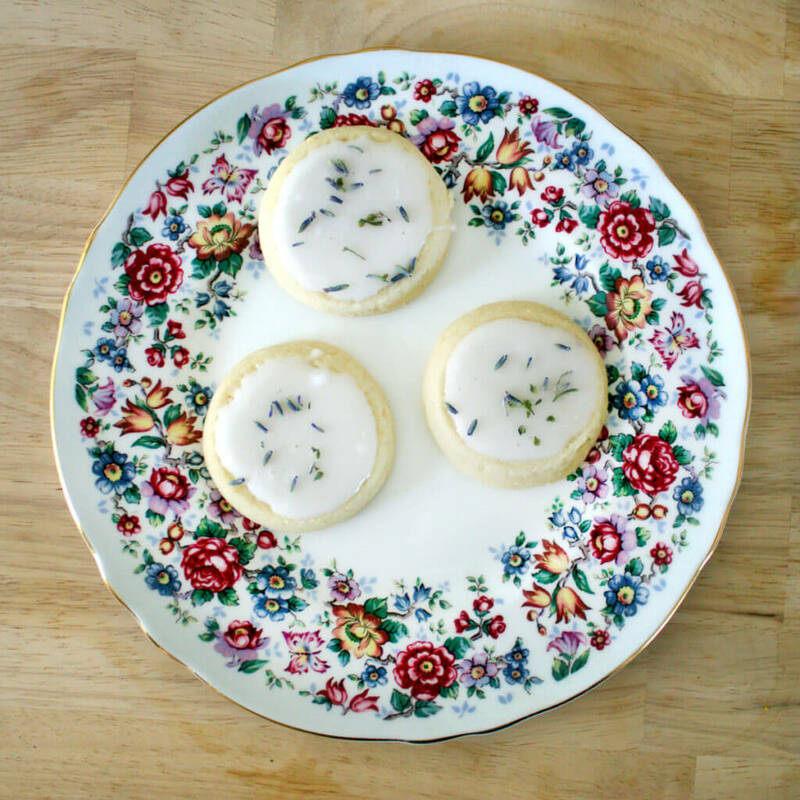 There are even cookies that melt in your mouth like these Earl Grey butter cookies. There truly is something for everyone in the world of cookies. 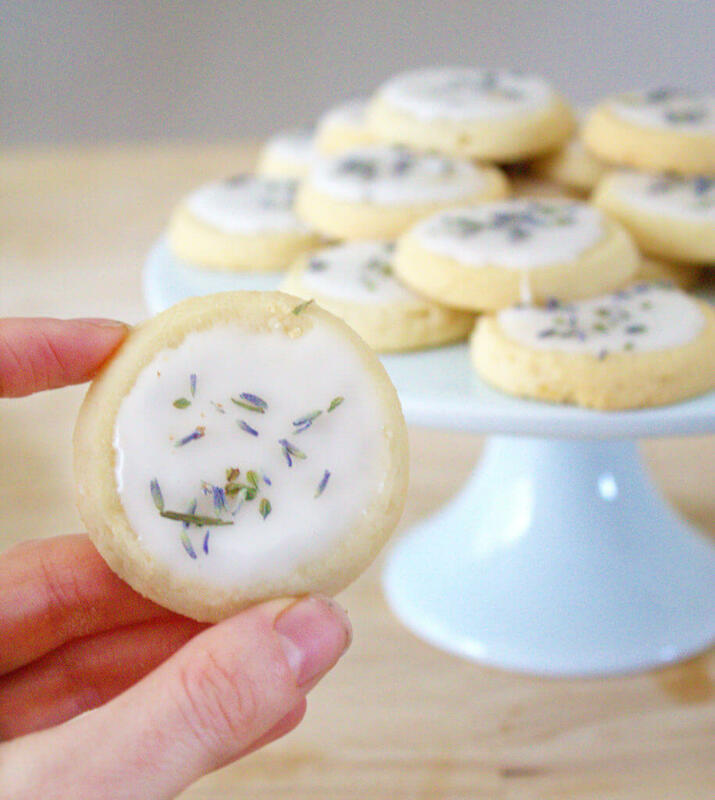 This particular tea cookie recipe with icing is a simple sugar cookie with plain icing and a sprinkle of lavender for color. 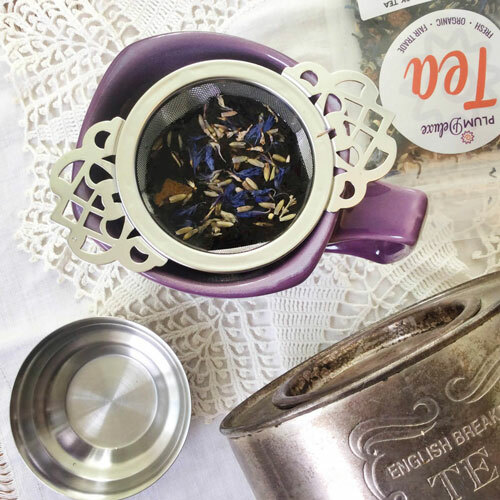 The addition of the lavender makes it a great pairing for Earl Grey teas, especially our Gratitude or Mindful Morning blends. 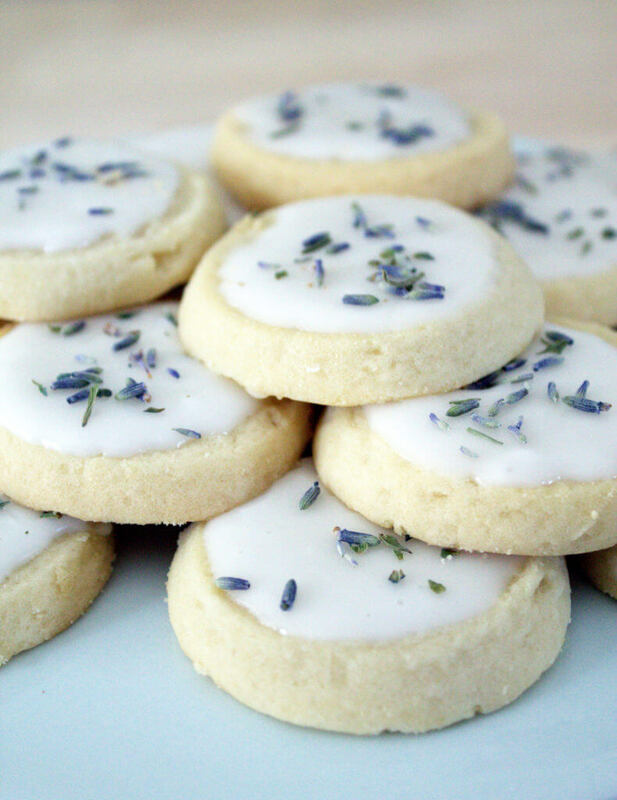 However, you can skip the lavender altogether or replace it with sprinkles for a more neutral cookie. We kept it simple to encourage you to come up with your own fun and delicious additions. This plain icing recipe can be altered with just a drop or two of flavoring such as almond or lemon, changing the entire flavor of the cookie. You could even add fresh fruit like blueberries or raspberries to the top for a bright and juicy addition. Try combining lemon icing with fresh blueberries for a perfectly spring-y cookie. The addition of fresh edible flowers is also a great idea. Peppery flavored flowers such as violets or marigolds make a great pairing with softer flavors such as vanilla or almond. The combinations of tea cookie recipes with icing are truly endless. One of our favorite ways to embellish and add flavor to cookies such as these is to sprinkle them with a pinch of our favorite loose leaf tea. This also makes helps to make them an even better pairing for a steaming cup of the same tea. In a medium-sized bowl, sift together flour, baking powder, and salt. Set aside. Place butter and sugar in a large bowl; beat together until well blended. Add egg and milk and continue to beat together. Slowly stir in the flour mixture, and continue to mix until the dough begins to pull away from the sides of the bowl. Divide the dough in half, wrap in waxed paper, and refrigerate for 2 hours. Sprinkle a clean surface with confectioners’ sugar. Remove one wrapped pack of dough from refrigerator at a time. 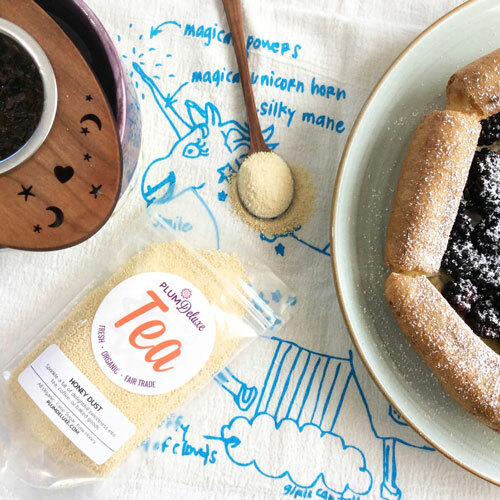 Sprinkle rolling pin with confectioners’ sugar, and roll out dough to 1/4-inch thick. Cut into desired shape and place onto a greased baking sheet at least 1 inch apart. Bake for 7 to 9 minutes or until cookies are just beginning to turn brown around the edges, rotating cookie sheet halfway through baking time. Remove from oven and let sit on baking sheet for 2 minutes prior to placing them on a cooling rack. Once the cookies are completely cooled, prepare the icing by combining the confectioners’ sugar, milk, and flavoring extract until well blended. Use the back of a spoon or pastry bag to frost the cookies and let stand for another 3 to 4 minutes before serving.